12 VOLT - RV Automatic Satellite Antenna System. The NEW SATPOS20D with built in Digital Tuner is a dome shaped antenna which is fully enclosed with Automatic software. New super simple operation, simple installation, no winding up, once installed, just turn on and lock on. Since 2000 Majestic has been the world's leader in 12 Volt Technology and Automatic Satellite systems for both Marine and RV. 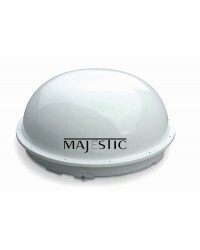 Majestic was the first in the world to introduce a simple dome with state-of-the-art auto locking technology. We now lead the technology with the release of our NEW Digital Tuner (IDU) which provides you quicker acquisition, high gain control when rain, or moisture is present and easier software upgrading ability as technology changes. The SATPOS20D has been specifically designed for Caravans and RV motorhomes, this unit installs quickly and is very easy to use. Simply turn it on, and wait a minute for it to lock on. Power Efficiency: With over 15 years experience in developing energy efficient entertainment products the SATPOS20D was designed with power consumption as the primary factor. This unit draws only 1.8 Amps maximum while doing a search. 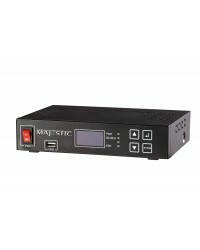 Once locked on, you can then turn off the black box (IDU) Control unit and use Zero power. 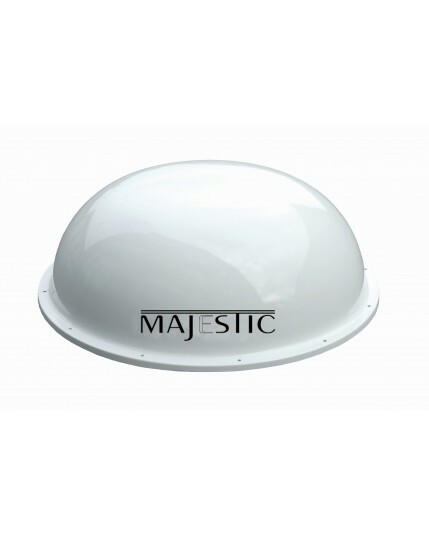 This ensures you have the most energy efficient fully automatic antenna in the industry. Voltage Range: Most companies claim they are 12 Volt, and technically yes they work on 12 Volts. However the issue is the level of tolerance the electronics have, most 12 Volt electronics have a limited tolerance, generally between 11V and 14V. This can cause many people problems especially when they have long cable runs, or the battery voltage drops a little (especially late at night), or even if they have a poor power connection. The Majestic SATPOS20D is designed to work from 10V through to 18V DC, therefore ensuring you will not have any power issues. 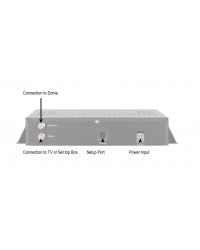 Tuner: HD Digital DVB-S Tuner built in the Majestic SATPOS20D IDU allows you to be able to receive Full HD Digital Signals to your TV or Decoder box. 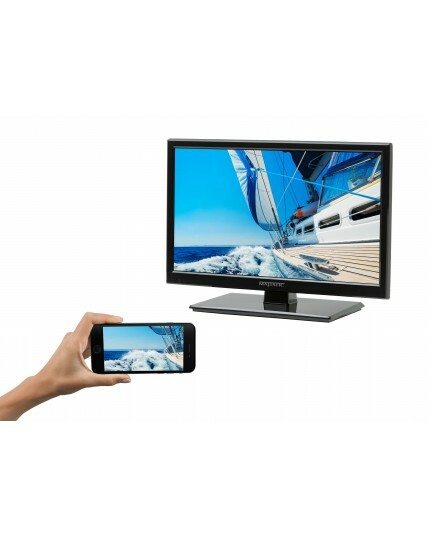 The HD Digital DVB-S Tuner allows you to receive Freeivew signals from the satellite and connect to a Sky decoder for those that have Pay TV. The SATPOS20D gives you the huge advantage of full HD Digital performance in a very low maintenance dome. 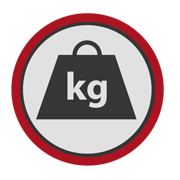 Weight: The physical design of the SATPOS20D is to be able to withstand the harsh terrain of the offroad environment and still not have issues travelling down the highway, but more importantly having an easy installation. Weighing only 12Kg this antenna covers a small footprint on the roof and makes installation very easy. Size: The SATPOS20D is only 38cm High, this means it is a similar height to most air conditioners and therefore not an issue for height. 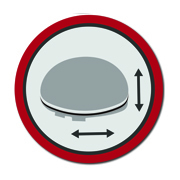 The footprint is 70cm wide in diameter, this makes for an easy installation as there are no external moving parts and you know exactly the area the SATPOS20D is taking up. 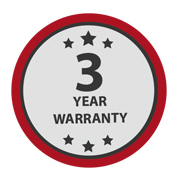 Warranty: Majestic products are designed and developed in Australia and exported globally, with over 10 years experience Majestic stands by the quality our products by providing a 3 year worldwide warranty when registered online. Our engineering design team has paid attention to all the important details to ensure that when you purchase a product of this quality and calibre that you can enjoy many years of reliable performance in the toughest conditions where domestic brands will not survive. Software updates are available feel free to contact our service centers to help you out.